If the best southern barbecue is what you crave, you should definitely try Berkley’s Backyard BBQ. The barbecue we serve is simply irresistible and we can say this with great confidence. If you are planning your next event – whether it is a birthday party, a graduation party, a holiday party, or just about any kind of PARTY – we are here at your service. 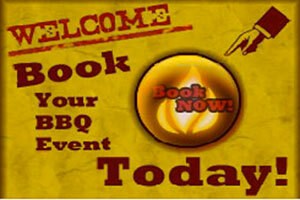 We are specialists in barbecue catering, and we bring the Southern flavors to you right from our personal kitchen. The recipes have been passed down the generations and we are carrying on the tradition of cooking and serving high-quality barbecue to the people in Southern California. Our special gourmet sauce comes from Berkley’s great grand-mother whose sauce is the champion of all BBQ gourmet sauces. Whether you are looking for barbecue chicken, barbecue ribs or barbecue tri-tip, our dishes are sure to leave your guests wanting more. We diligently prepare all our sauces and make the best barbecue for all events including drop-off lunches. 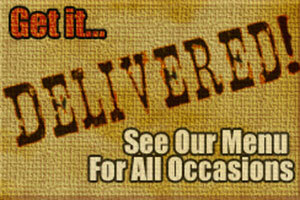 You name it and we’ll bring our barbecue catering to your door-step. We are never late and all our staff is always polite and hospitable. Your satisfaction is our guarantee and there are no two ways about it. 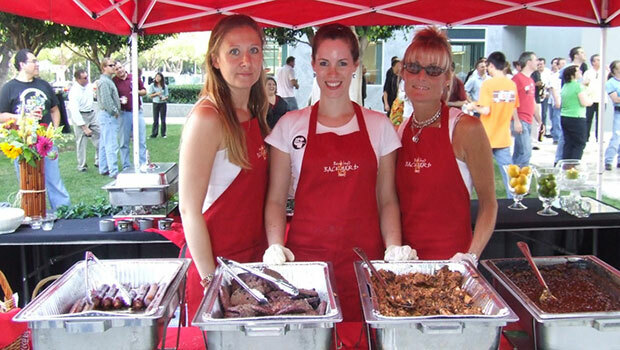 Barbecue catering is a way of life at Berkleys, as everybody in our home enjoys barbecue just as much as you do. Every event is considered an in-house event by us. We give a personal touch to whatever we do, even the way we decorate and serve the food. We provide side-dishes with every entree we serve. We set the food as per your theme and setting that any guest coming to your event will not only be impressed by our barbecue catering but also the way we serve it. We are confident that your guests will enjoy the barbecue served by us and you’ll be happy that you found us. We at Berkley’s believe that we are providing more than food. We are bringing our passion and love to you along with the food and we are here to stay for a long time!